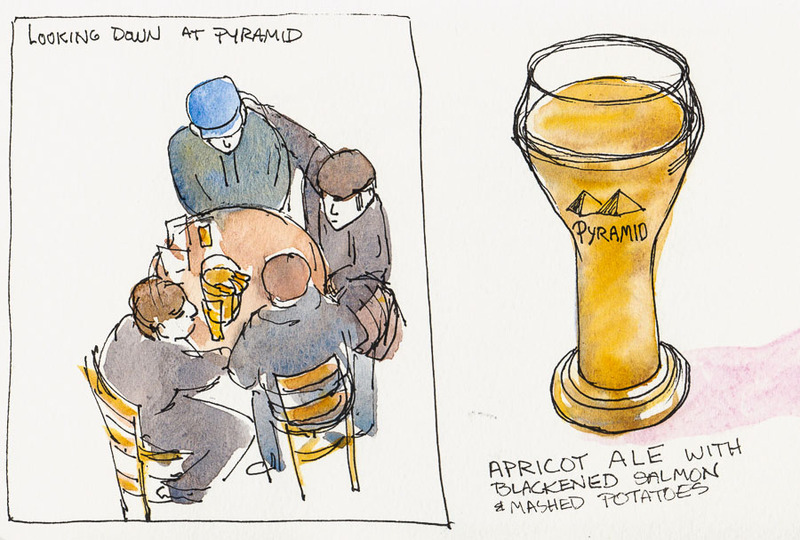 Before being seated at Pyramid Brewery in Berkeley some of us went upstairs to sketch. I enjoyed the perspective challenge of drawing these guys below me, sitting and standing with their pitcher of beer. The menu recommended their Apricot Ale with the Blackened Salmon dinner (fruity beer a bit odd but tasty). The beer came before my food so I sketched it. I was too hungry to draw my delicious dinner. 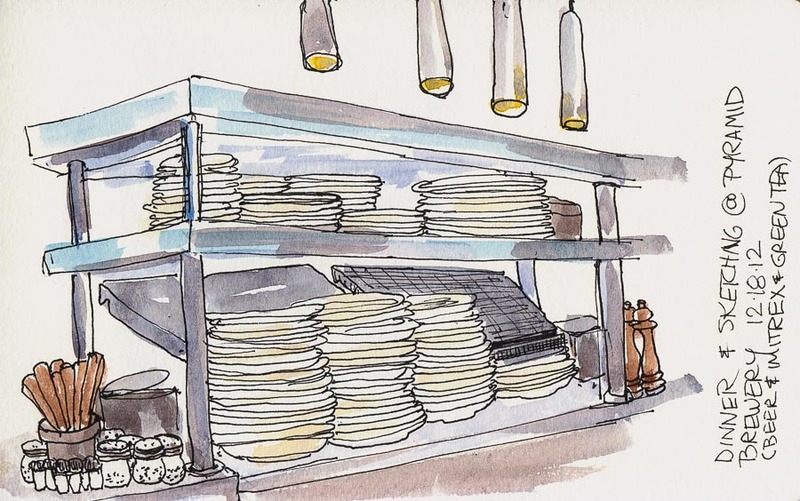 After dinner I drew what I could see from my corner of the booth where I was kind of wedged in. And that should finally be the end of December and beer sketches. Now on to posting more interesting stuff than beer and dishes!